This cap is a new favorite of mine as sometimes it gets a bit tiresome wearing the same old Yankees hat to the games. I was fortunate to attend the Rays-Yankees game on July 9, 2011 when Derek Jeter joined the 3,000 hit club. I thought back on how I somehow managed to get him to autograph some cards when he played for the Columbus Clippers either in 1994 or 1995. 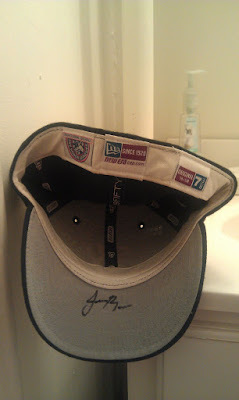 Even though Jeter only played in Tampa for part of of one season (1994) wearing this cap will always symbolize the amazing journey that this sensational athelete has taken. As a side note, someone who was never a Tampa Yankee, Jorge Posada, hit a grand slam during the game. 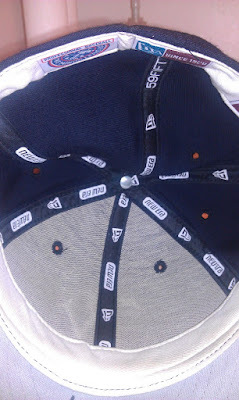 Coincidentally, I wore this hat to the Rays-Yankees game on August 13, 2011 when they honored Jeter with a slew of fanfare before the game commemorating his 3,000th hit. I didn't spot another Tampa Yankees cap that day, nor did I see a Columbus Clippers or Greensboro Hornets cap for that matter either. I suppose more people would rather wear the World Series or All-Star Game patch caps but I will always have a soft spot in my heart for the minor league caps. 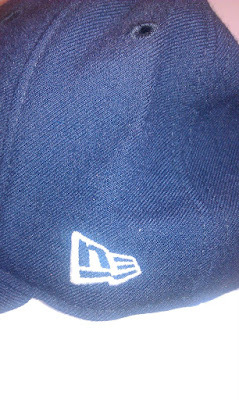 It's for that reason that I'm currently on the hunt for good Clippers and Hornets hats so that I can wear those to Yankees games as well. 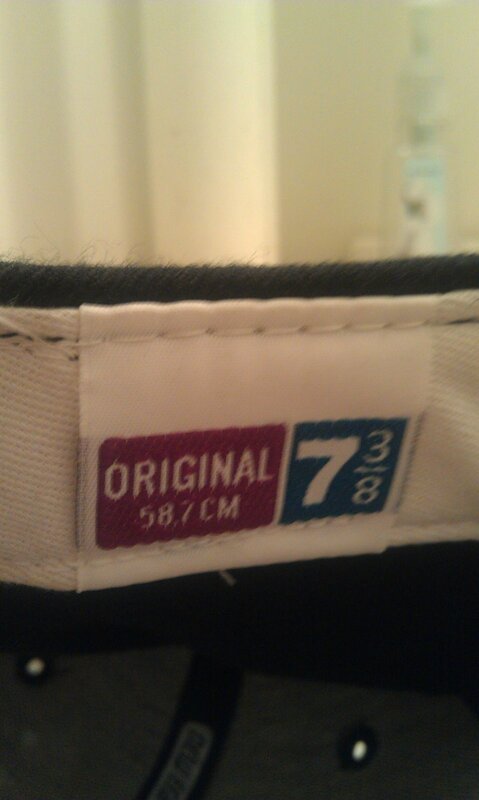 Wish me luck with that! 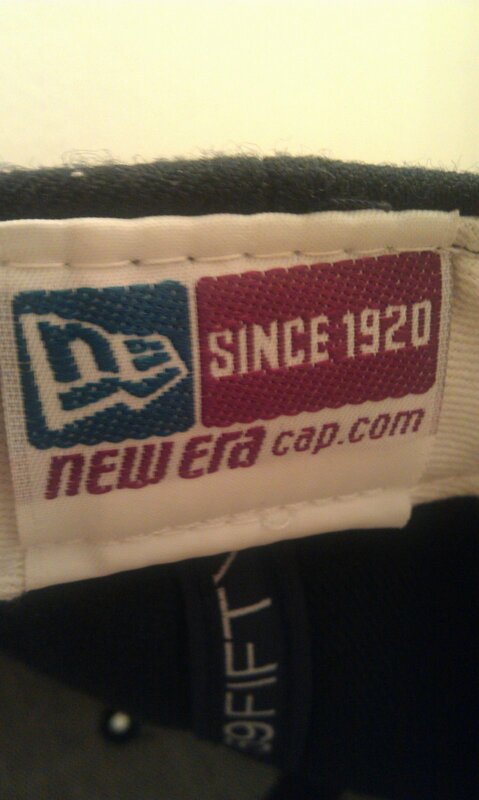 One note about the cap: it has similar inside tags as the 100th Anniversary Yankees cap by New Era from the 2003 season, but hopefully someone out there can drop some for sure knowledge here! 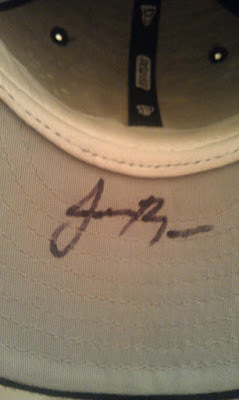 And while you're at it, if you can identify the player's autograph on the under brim of the cap, I'd be much appreciative! 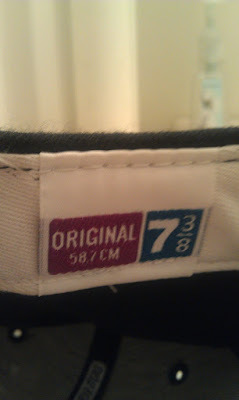 This is a price tag sticker that came with the cap for some reason. 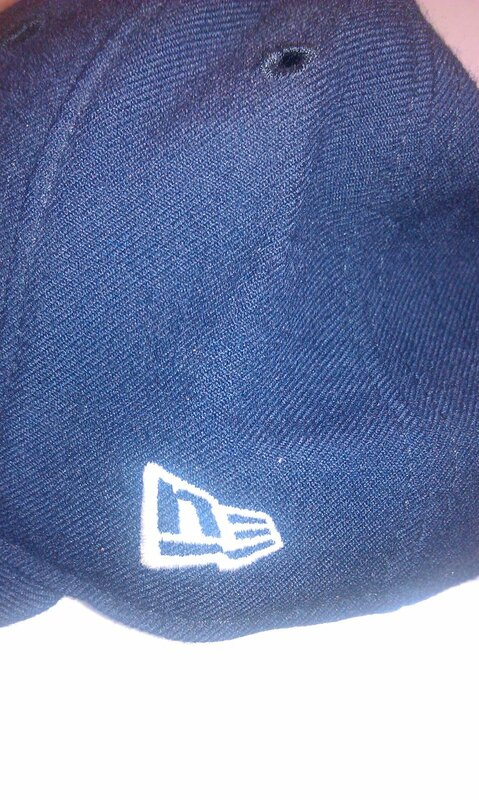 I guess all I can gather from it is that it was purchased at a Legends Room store at Steinbrenner Field (then known as Legends Field) for $35.00. 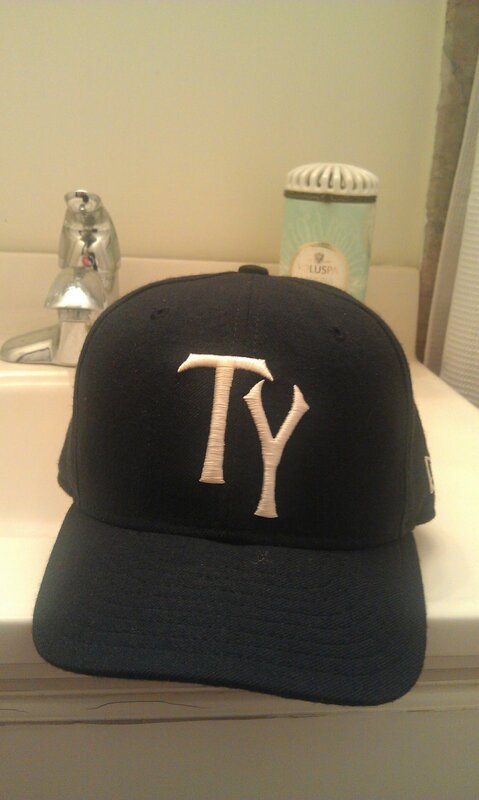 Considering that the Tampa Yankees sell the onfield hat for $25.00 online I am sort of at a loss. 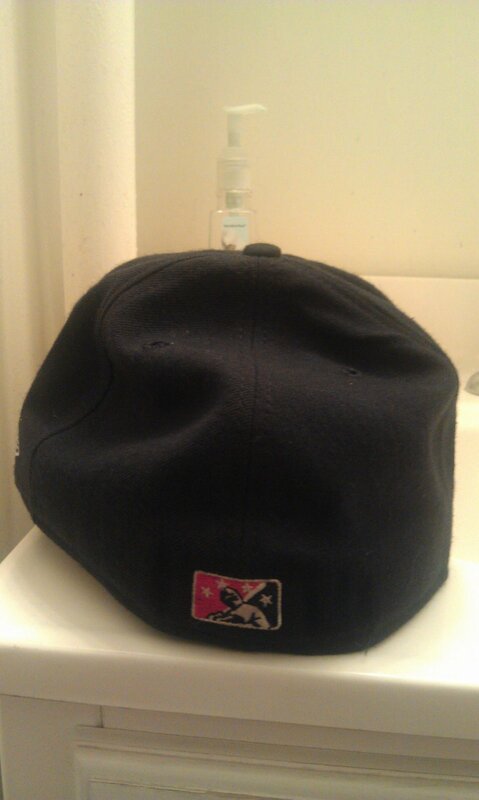 At any rate, in the top right corner of the sticker you'll notice "02" above the size of the cap. 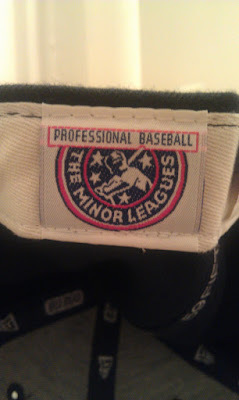 Maybe this cap was purchased almost ten years ago in 2002. Even if my assumption about the year is incorrect, it seems like a hefty price to pay for a minor league cap, especially for a grey-bottom cap that obviously came out in the early to mid 2000's.